Sure to be making waves this summer is singer/songwriter, Jamie Lidell. After realizing I hadn’t heard of many of the artists that will be appearing at Lollapalooza, I checked out Mr. Lidell via Lolla’s handy “Discover Artists” page. I was immediately impressed with Lidell’s soulful ways and jealous of his genius skills on the piano. Seriously, when your mother tells you that you’ll regret quiting playing the piano in 5th grade, she was totally right. 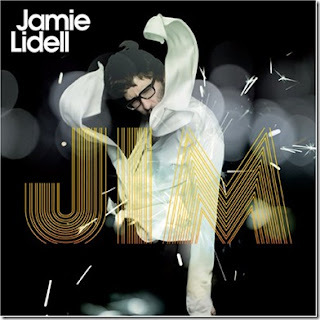 Lidell’s latest album, Jim, was released last week and its upbeat rhythms are perfect for the upcoming, long awaited summer season. He seems to be channeling his inner-Sam Cooke on cuts like “Another Day” and “A Little Bit of Feel Good”. Most of the songs deal with the usual subject of love lost and heartbreak, but have a retro-soul feel that leaves you uplifted, rather than depressed. Even when he slows things down on “All I Wanna Do”, his crooner sound genuine and not cheesy. Most of the info I have read about Jamie Lidell mentions that Jim and recent album Multiply are a departure from his Electronica days. If his past passion for electro is half as good as his soulful crooning, it would be worth checking out. See Jamie Lidell at Lollapalooza 2008.